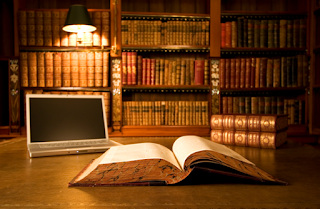 Teaching Legal Research in the Books: Necessary or Not? Over the course of the last week or so, there's been a lively discussion on the LRW-PROF listerv about teaching legal research using books. At SCU, we have traditionally held one or two class sessions in which students conduct legal research in the library in books. Some of us are considering modifying, shrinking, or even eliminating these exercises to make more time for additional electronic research practice. We identified some theoretical pros and cons to this approach. We are curious to hear about practical effects from anyone who has gone through this process of shrinking or eliminating book research. What effects, good and bad, have you seen in your students' ability to research? Any flak from librarians or employers? I appreciate any ideas. I have always taught a modicum of book research each year, and, at the very least, I introduce my students to the existence of the books and their historical relation to what is being seen online. It does seem to make the students better understand the connections between the sources and also appreciate how and why we have duplicative sources that seem to provide the same research references (like C.J.S. and AmJur). Most employers do not have things like legal encyclopedias in their law libraries, but they often have the state code. Some employers here have expressed frustration that students never seem to have been introduced to a book or an index and, as a result, spend an hour on the computer rather than taking ten minutes to pull the statute off the shelf. Also, one of the benefits of seeing the books is seeing that the sections before and after might also be related. Although you can page through the material online, it isn't as intuitively done as it is in a book. I also like to expose students to books as a "just in case" skill. What happens if the research needs to be done and you have no access to a computer and no idea what to do with any of those objects in the law library? Interestingly enough, this scenario has come up when some students lost access to Lexis and Westlaw in the summer semester. It also occurs when students graduate, are working for a small firm that has only limited online research access, and no longer have student ids. It is kind of fun to hear the tales of how I was proved right that one day the book research exercise would come in handy. Even if I don't have the time to fully teach book research, I think it's important to expose the students to it. You can effectively cover "book" research on the computer. I tell students there are three ways to do the research. You can do a word or phrase search on the computer. And the computer will retrieve matching files for you. You can look in an index, and look at all the sources the publisher has compiled under a specific topic. Or you can look in a table of contents, which like an index, is compiled by humans. The latter two types of searches are typically associated with books but can also be done on the computer. So, if you are looking at a statute on Westlaw, you can do a word search, browse the table of contents or look in the index. If you are looking for cases, the Digest is basically a giant annotated table of contents, and it has an index too. So you have the same options for cases. We are all familiar with the written version of the digest, but the same thing is on line, called the Westlaw Key Number System. I try to avoid describing the research options as book vrs. computer. Instead, I tell students you can either have a computer look for literal matches based on the words or phrases you give it or you can look through an index or table of contents of cases that have been filed and sorted according to the topics they deal with by humans. A search request is, functionally, an instruction to index a database. Indexing a single book is a difficult enough task (as anyone who’s actually faced the chore of providing a useful index can attest), but at least that task gets done after reading the text. Indexing a digital database via a search request is many times more difficult because the indexing occurs without having read the text first, which means the user’s hoping — guessing — that the search request reflects a collection and configuration of words that the author of a relevant but as-yet-unread text has also used. That’s why computer-assisted searching (unlike indexed-book searching) significantly favors the expert over the novice: the expert has a much stronger grasp of the collections and configurations of words that reflect relevant concepts, including analogous or related concepts that might be disguised. An indexed book, on the other hand, typically includes cross-references (as in “see” and “see also”) that can guide the novice relatively quickly to the place where experts would have begun their research, thus placing both novice and expert on a more equal footing. Hence, the value of a digest that leads to CJS or ALR, which in turn will provide the novice with an introduction to the language and concepts the expert already knows. I don’t require students to research in the books, but I do bring the books to the students and vice versa, because I think it useful to show students the basis for the online platform organization. Students who forget their laptops have to use the books. This year, the two students who fell into that category were able to find the information faster than their peers, much to their surprise. After that I have heard back from a handful of students—including those two—that they prefer to start their research in the books. I personally think that research in the library stacks can be reduced and that it's most important that students have an exercise that leads them to through the secondary sources, digests, reporters, and codes on the shelf, hold them in their hands, and see how they work. It could be just a set of instructions that leads them from one to another in the setting of an issue and requires them to read certain parts of each, taking maybe no more than 60 minutes of self-guided work. Later -- even when they are researching almost entirely online -- if you mention the importance of starting with a secondary source on an unfamiliar issue, they'll have a concrete idea what you mean. And when they see West key numbers, they'll have some grounding in searches through substantive categorization by legal topics. They will also see how enacted statutes are fit into codes, organized by topic. Finally, they'll know that some helpful materials, like treatises, are easily available and readable and are freely accessible in hard copy in their library, causing them to sometimes choose the non-electronic option. The legal research & writing faculty seem to be all over the place on this issue. And it's interesting to see what the legal writing folks think about legal research pedagogy because they are often driving the decisions on this front. In a perfect world, I would say that book research is still a useful tool to provide context for online searching, which is, inevitably, what the Google Generation will rely on. As law library budgets continue to shrink, and as print collections are reduced in favor of online access, researchers will have little choice but to rely on electronic content. Moreover, the Google Generation and beyond have been conditioned, through years of poor research instruction, to simply Google a few keywords and rely on the first page of results without giving much thought to source, context, or indexing. Left to their own devices (pun intended), why wouldn't they continue to research the law in a similar fashion by relying on database algorithms to do the heavy lifting for them and by focusing on the first page of results? In fact, I've seen it time and again. Particularly during a reference interaction when I ask a student how they've gone about researching to get a sense of where I need to begin the teaching moment. Most often, they've done keyword searching in a database and are overwhelmed with the results because they have no context or strategy to work from. In law, that just won't do. In a system where the future of law is reliant on past law (think precedent), the legal researcher must understand legal research in context. That means teaching a sound strategy, regardless of content format, that the students can apply to any issue. I show this strategy in books and online, as well as with a combination of print and online to illustrate to the students that the strategy is the thing! Regardless of format! When teaching each part of the strategy (preliminary and secondary sources, codified law, binding precedent, persuasive precedent), I discuss the books mainly to provide context for the online sources. When teaching about secondary sources, for example, it's helpful for the students to see the print table of contents and index to understand, in context, what they see online. I find the books particularly helpful for federal statutory law. Students need to understand the publication process to understand what part of the law they are viewing (slip law, session law, code section, etc) and why it's important to the process. This seems to be most effectively done in print then by showing the online corollary. But we shouldn't stop there. Sure, we can teach them how to research in a couple of classes in law school. But if we expect them to absorb the strategy and become truly proficient researchers, we should include legal research across the curriculum. Or, in lieu of that uphill battle, we should create a separate legal research program to ensure mastery of this very important skill. I also think books should be taught at some point as part of a legal research course. Some people work for small firms and do not have electronic access; also some older and even younger people prefer the books for learning purposes as a practitioner. With the increasing cost of Westlaw and Lexis, some firms and state agencies are even cutting the use of the databases. I also have found by working in law schools and court libraries where searching for materials is often easier with an index or table of contents. With students, the print books assists with comprehension of researching a topic. With practitioners, print assist with locating exactly what searching for in a short period of time.